How fabulous are Felt Alive color-coded needles?? It’s really best said in our felting needle customer reviews! Since I teach needle felted marionette making for a Waldorf inspired public school, I thought I would give them a try for my students this year. Although my second track Handwork teacher did not like them, I do! I made a pack to hold them all in, with the students numbers written on each pocket, and so I love the color coded handles for quick grabs. The students also feel special, as I explained how I bought them, for them, this year for the first time. We are all having a wonderful time stabbing away!!! Jo Fair oaks,ca. Disappointed in quality of some needles I very much like the comfortable ends. Was very disappointed with the yellow 40 needles. Both broke within a very short time (not due to abuse). They seemed to be more brittle than any other brands I have used. The black 36 and red 38 were very good. Carol-Ann H Prince George VA.
Needle felter I love using these needles. Their comfortable, their strong, and the color codes make felting so much easier. I won’t be without them! Rose C Fannettsburg pa. Variety pack of needles LOVE THESE NEEDLES! Will be ordering more! janet Indiana, Pa.
Needle felters know best and our felting needle Customer Reviews really do say it ALL! I hope you decide to make these fun and fabulous felting needles a part of your creativity! 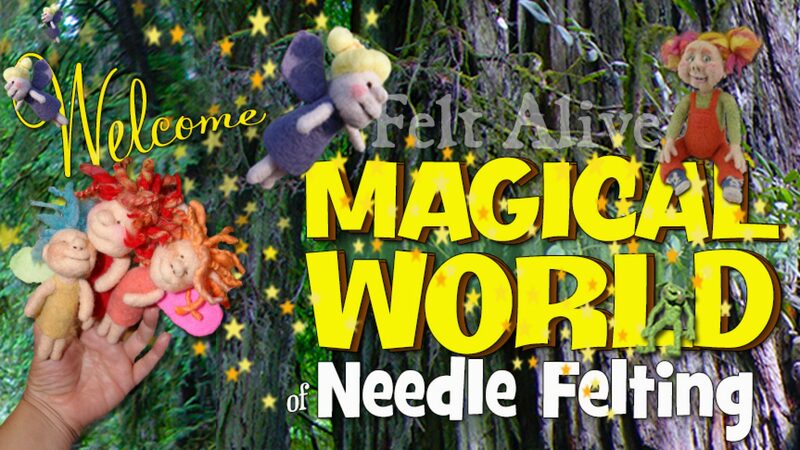 Save 10% off your next order of Felt Alive Felting Needles!